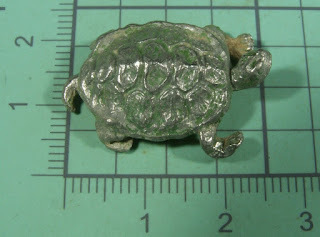 About my hobby/obsession with metal detecting in Maine, USA. 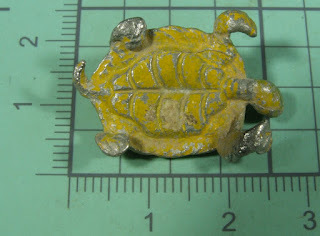 I started in the spring of 2018 and this blog records some of my finds. I hunted for 3 hours today, oh my aching back. It was a warm day with strong breezes that kept the black flies away. 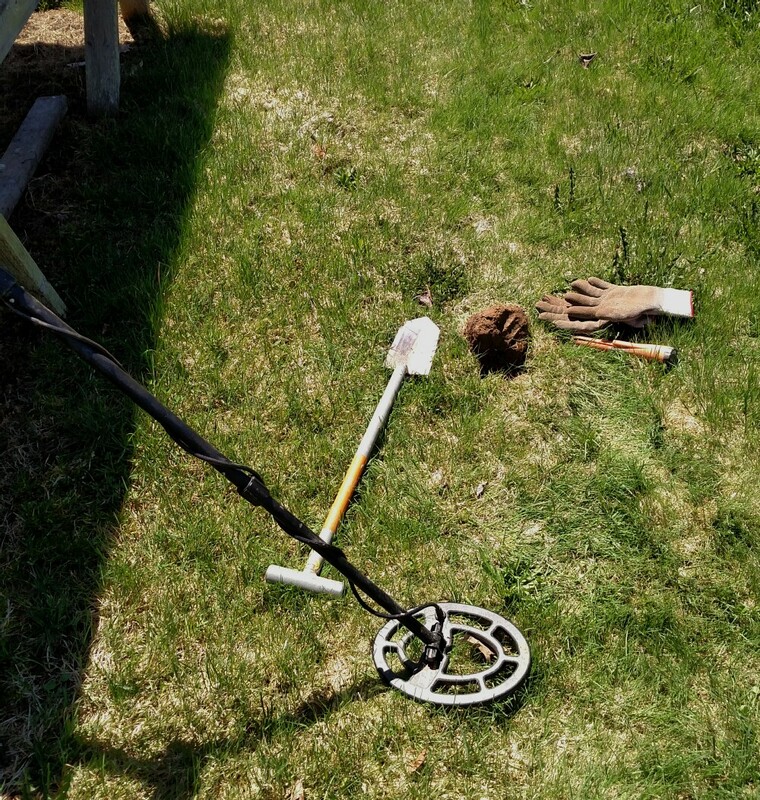 I spend more time crouched down digging than I do swinging the detector. The signals are so close together that I rarely get to walk more then 4 paces without detecting something. 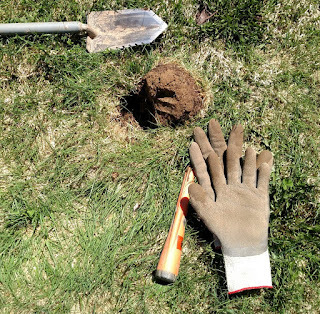 As I get more experienced the size of the plug I dig has reduced to about 4" X 4" - the width of my shovel. The pinpointing feature of my ACE 300 machine is that accurate. Often the item is toward the side of the plug, and sometimes down in the hole. I rarely need to dig down more than 6". 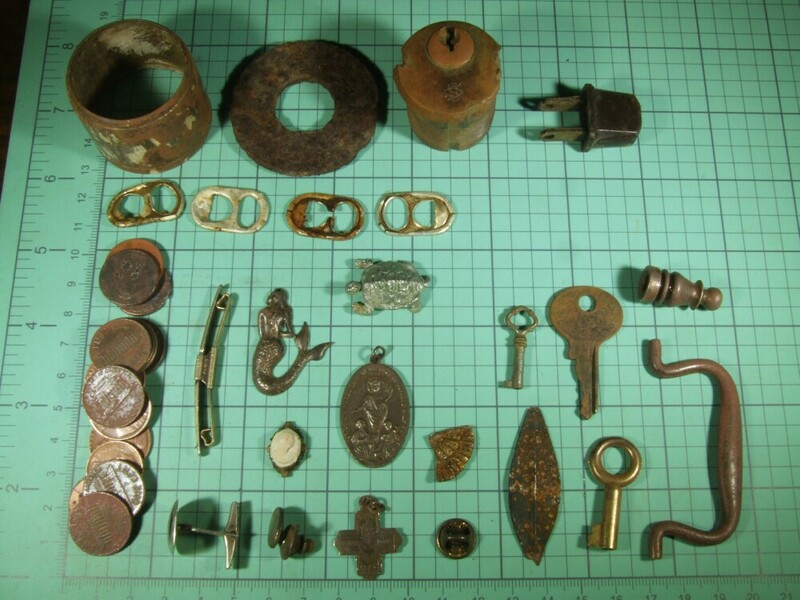 Coins near the surface yield a a distinctive "ding-ding" sound from the detector if they are laying flat and I can locate it with my pinpointer without digging. 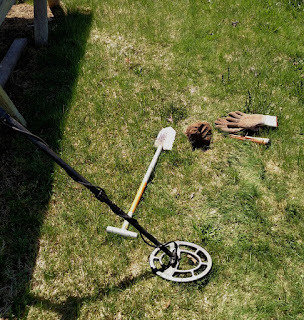 I just use my hand digger to open up the top inch of soil, and there it is. I only took my gloves off for the pictures. They stay on the whole hunt for 2 reasons. They recently sprayed the property with weed killer to keep the spaces under the flea market tables clear so if someone drops something they can find it. But also I like to keep my hands clean and safe from sharp objects like can slaw (chewed up aluminum cans). I found tons of Lincoln pennies as usual. If I had a penny for every "stinkin' Lincoln" - why I'd be . . . dirt poor!😉 I don't find many quarters. My joke about this is that Mainers are so cheap that if they drop a quarter they pretty much call out the National Guard to find it!😀 The pulls tabs always get my pulse racing because I'm hoping for gold. I seem to be finding a lot of keys at the flea market, all shapes and sizes - and other cabinet hardware. 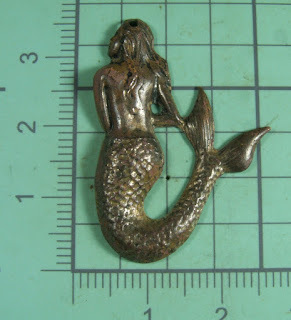 But the interesting finds today are the jewellery. First is this Swank brand gold filled collar bar from the mid 1900's. It is stamped 1/20 12K G.F., SWANK and PAT. 75818. 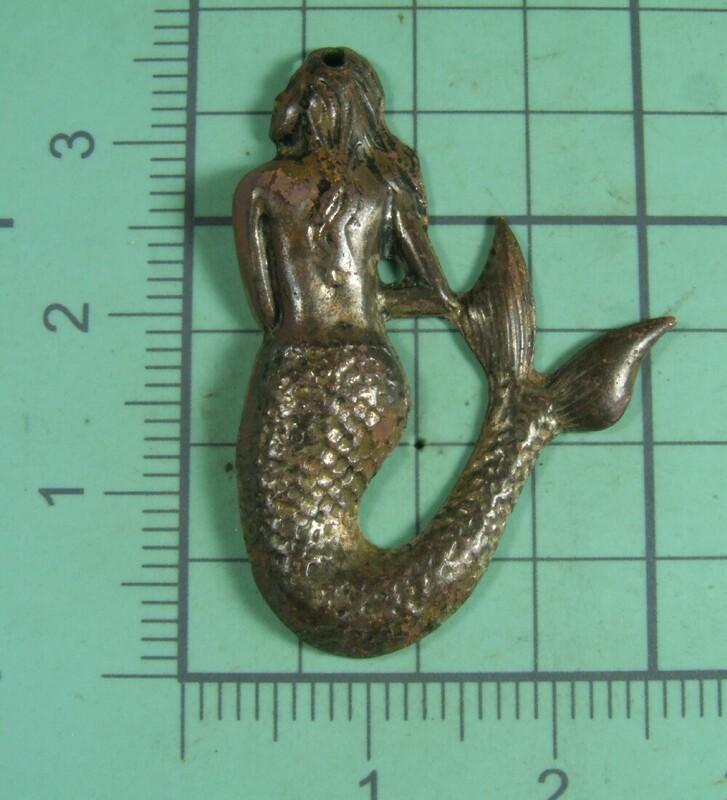 These were common from the 1930's into the 60's. 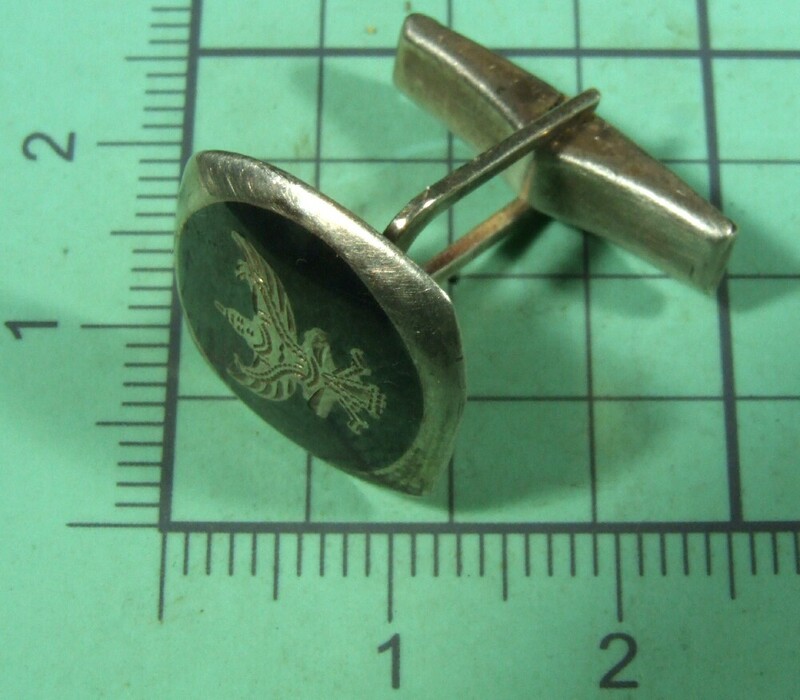 Then there's the Siam Sterling cuff link with a nice design, these were made from 1930-80 in Thailand. 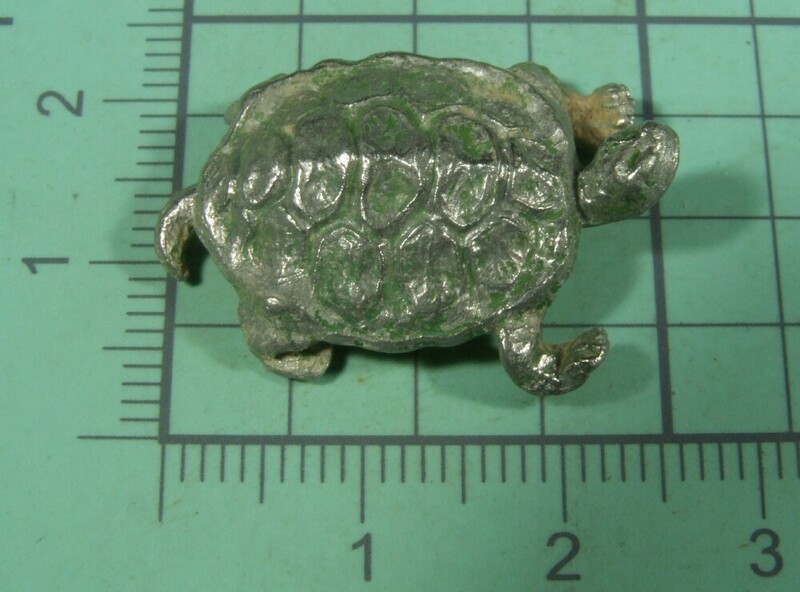 This cute .29oz .500 sterling turtle was probably painted originally. 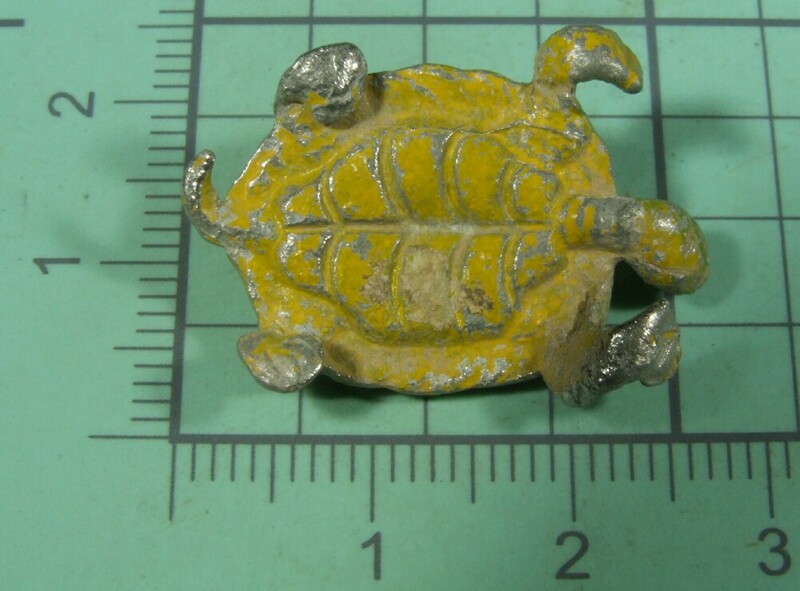 It shows greenish residue on top and yellow on the bottom. 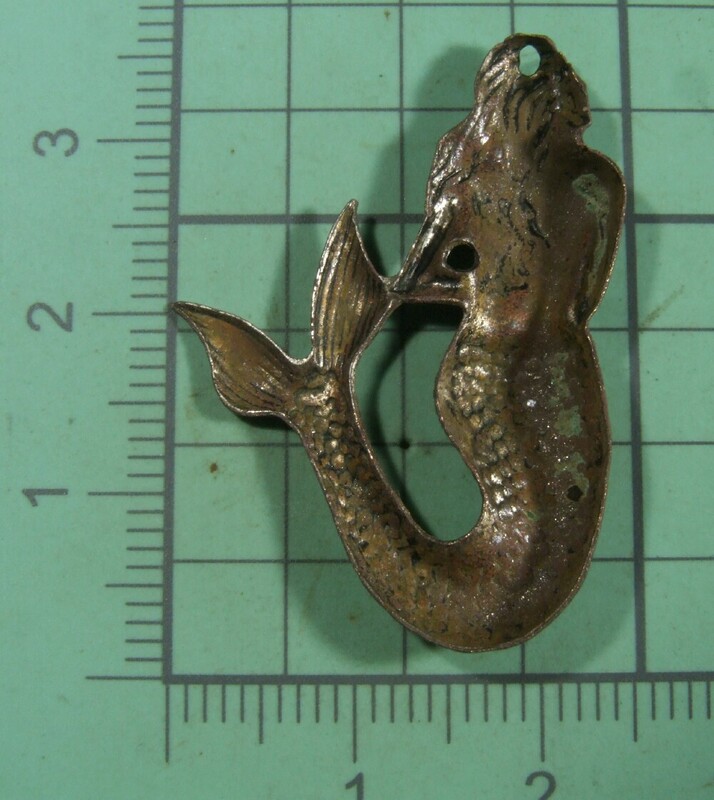 This cute mermaid is brass. 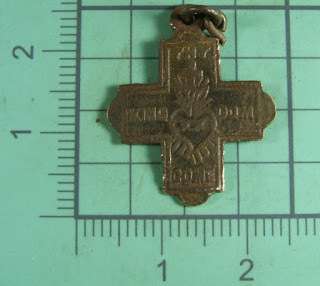 I found a couple of Christian items, there must be a booth that specializes in them as I found some before. 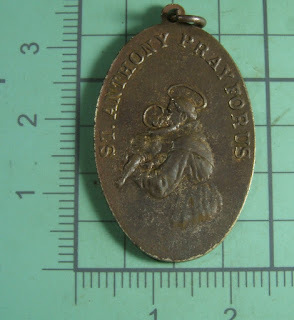 This oval brass pendant says: "ST. ODILIA PATRON SAINT OF THE CROSIER FATHERS PRAY FOR ME". 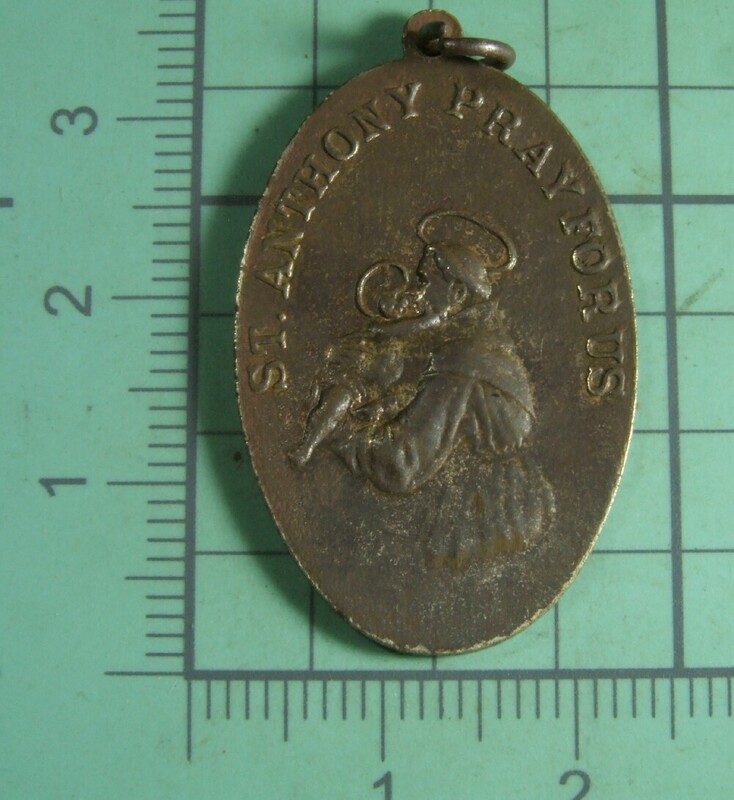 On the back is: "ST. ANTHONY PRAY FOR US". 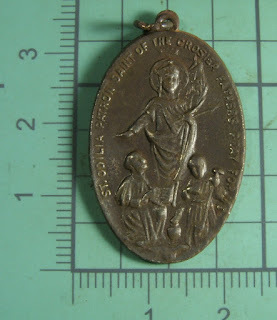 I never heard of St. Odilia! And this tiny brass cross pendant has the text: "THY KINGDOM COME", the back is blank. Foo Foo juice for cleaning finds. Guy Marsden. Simple theme. Powered by Blogger.